Bullying affects the lives of many children: some are victims, some take part in bullying others, and many are, to a greater or lesser extent, onlookers or witnesses of bullying behaviours. Usually seen as something that happens in schools and amongst peers, the advent of cyberbullying by mobile phones and via the internet, primarily in this century, has seen cases of bullying increase and traditional forms of the behaviour evolve. This book considers the effects of bullying and cyberbullying on children. It looks at the different roles that are present within bullying and the different effects that it can have on a child’s development of psychosomatic problems, self-esteem, friends and loneliness, school satisfaction, and family relations. It focuses on several key aspects of this type of intimidation and considers topics including traditional bullying, the situation of immigrant children in relation to bullying and victimization, cyberbullying in young people, and emotional and behavioural correlates of cyberbullying. 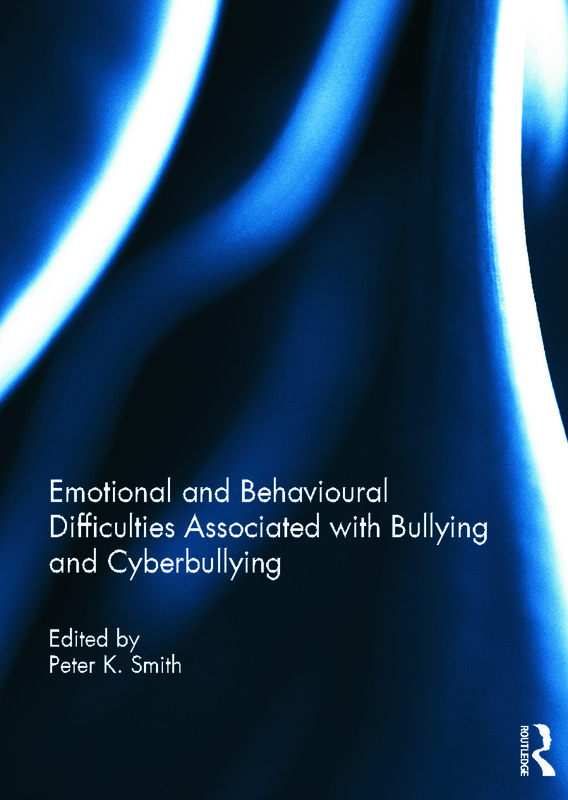 This book was originally published as a special issue of Emotional and Behavioural Difficulties. Peter K. Smith is Emeritus Professor of Psychology at the Unit for Schooland Family Studies at Goldsmiths College, University of London, UK. His research interests are in social development, school bullying, play, and grandparenting. Previous publications include Children and Play (2010), Understanding Children's Development (2011) and Bullying in Schools: How Successful can Interventions be? (2004).